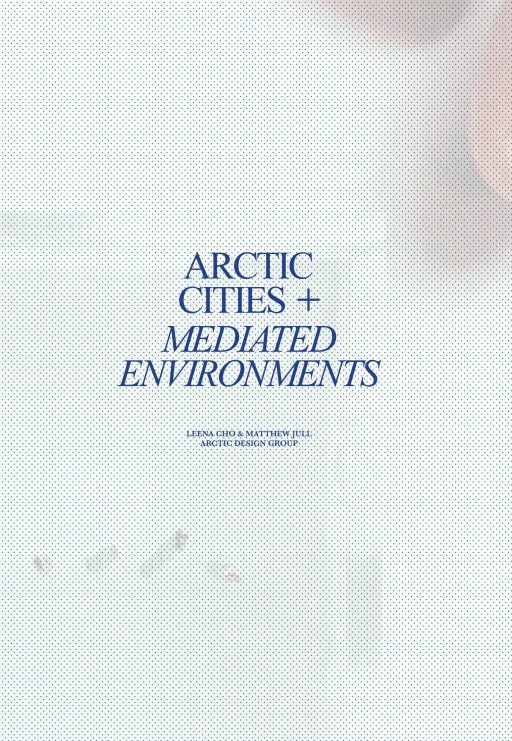 Arctic Cities + Mediated Environments examines fundamental and radical environmental conditions in the Arctic and provides a spectrum of innovative design approaches and spatial outcomes. Climate organizes and sustains a broad range of activities in the Arctic, and it will dictate the future transformations in northern urban landscapes and their metabolic operations. 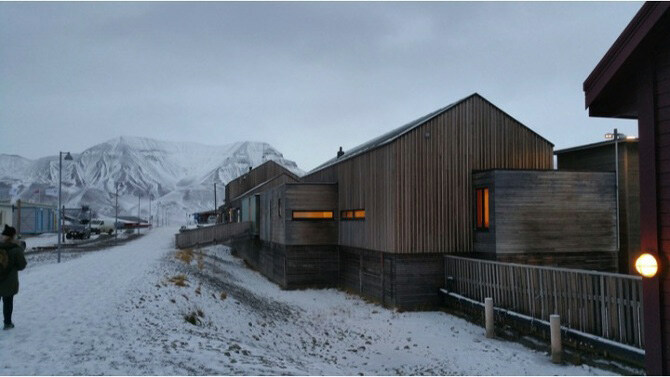 As such, arctic urbanism must take into account the varied nuances of weather phenomena that are deeply engrained in everyday living practices and biophysical fabrics. By revisiting and reconfiguring the intersections between environmental and design systems, this publication aims to expand conceptual strategies in the arctic beyond the modes of insulation, stabilization, and optimization while repositioning the region as a central figure within the global network of exchanges. 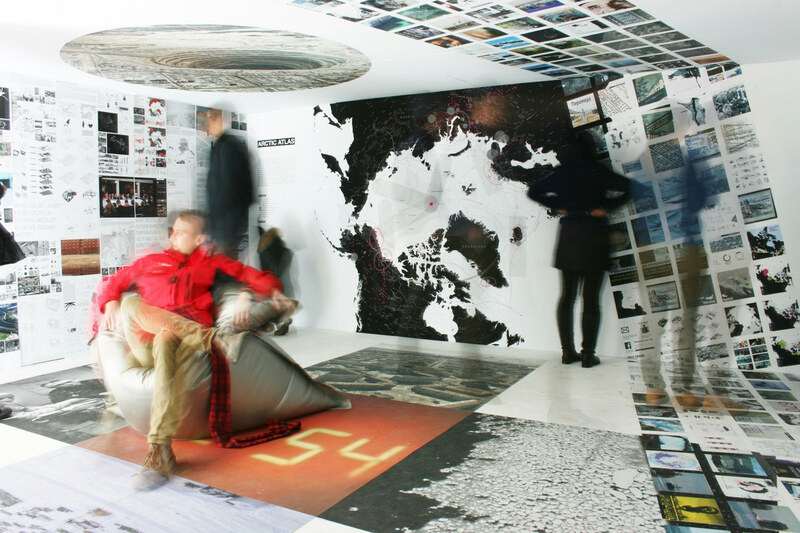 How can the ‘arctic wall’ as a defining feature of northern architecture be renegotiated? Can design, whether it is pavement assemblies or building foundations built on permafrost, escape the confines of technical precedence aimed to resist instability, and instead work with – take advantage of – dynamic environmental mechanisms, such as thermal cycles of ground, pronounced in the region? This study is not an argument against engineering but for greater synergies between engineering and design as well as between science and design, and for developing climatically responsive and arctic-specific paradigms for the construction and maintenance of arctic cities. The future of sustainable arctic development requires resiliency in urban form and programming that is adaptive to the current and future flux inherent in the region, as well as a repositioning of the arctic environment as a productive, robust, and dynamic foreground through which design and urbanism occur and are contextualized. Leena Cho is an assistant professor of Landscape Architecture at the University of Virginia, whose research investigates conception, representation, and design instrumentation of weather phenomena and climates in built environments. She received her MLA from the Harvard Graduate School of Design. Matthew Jull, Ph.D is an assistant professor of Architecture at University of Virginia. His research focuses on systems and processes of architecture and urbanization in extreme environments, specifically in arctic Russia and North America. Jull received his MArch from the Harvard Graduate School of Design and his PhD in theoretical geophysics from Cambridge University. 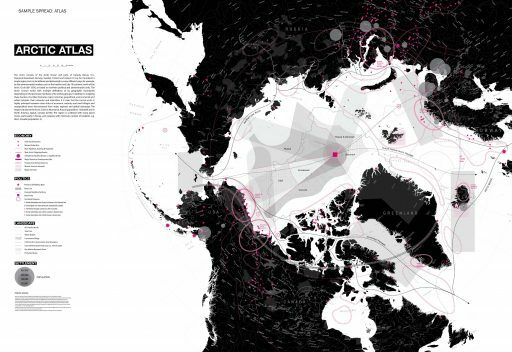 Cho and Jull are founding directors of the Arctic Design Group, an interdisciplinary and international design research platform focused on the challenges that the Arctic is facing in relation to climate change, landscape and urban transformations, and economic developments. Both are also founding directors of Kutonotuk/TempAgency, a design firm that has received critical recognitions nationally and internationally.